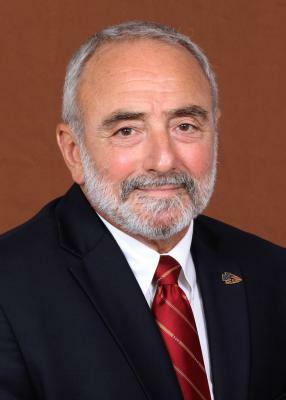 Greg Beaumont is both an Associate Dean of Undergraduate Studies, and Senior Associate Athletics Director for Florida State University’s Student-Athlete Academic Services. In his position within the athletic department, Beaumont leads a team of academic advisors and learning specialists who provide quality academic support and counseling for more than 500 student-athletes. Dean Beaumont plays an active role in the leadership team in Undergraduate Studies while being part of the executive staff in the Department of Athletics. Beaumont’s Athletic Academic staff is dedicated to the academic support and success of all Seminole student-athletes. Dr. Beaumont earned his B.S. in Finance from the University of Florida, and earned his M.A. and Ph.D. in English from Florida State University. In addition to being an associate dean of Undergraduate Studies and a senior associate athletics director, he has also served as an adjunct instructor in English, having taught courses covering the Short Story, Women in Literature, British Literature, Contemporary Literature and Freshman Composition. He was also an instructor in the First Year Experience Program and for the Freshman Interest Group Program. He serves as an advisor for Garnet and Gold Scholars, is a member of ODK and Golden Key, is executive director of the national W.E.B. DuBois Honor Society and is past President of the FSU chapter of Phi Kappa Phi Honor Society. Beaumont has won the Fred Standley award for excellence in teaching from FSU’s English Department as well as having received the Phi Eta Sigma Award for Excellence in Teaching. A Vietnam veteran, he supports the campus veterans’ programs. Long-time residents of Tallahassee, Dr. Beaumont is married to his high school sweetheart, Sharon Ann. They have two children, Sarah and Matt, and five grandchildren.